Their top craftsmanship will offer you fantastic rolling experience in kitchen. SECOND DIFFERENCE FROM OTHERS: no dents and small gaps compared with poor burnished or poor covering rolling pins in the market! Poor burnished or poor covering rolling pins have visible small gaps and dents easy to be stuck with flour residue which is difficult to be removed till go mouldy. Our rolling pins have avoided this problem. It is incredibly sleek and will not easily harbor bacteria! 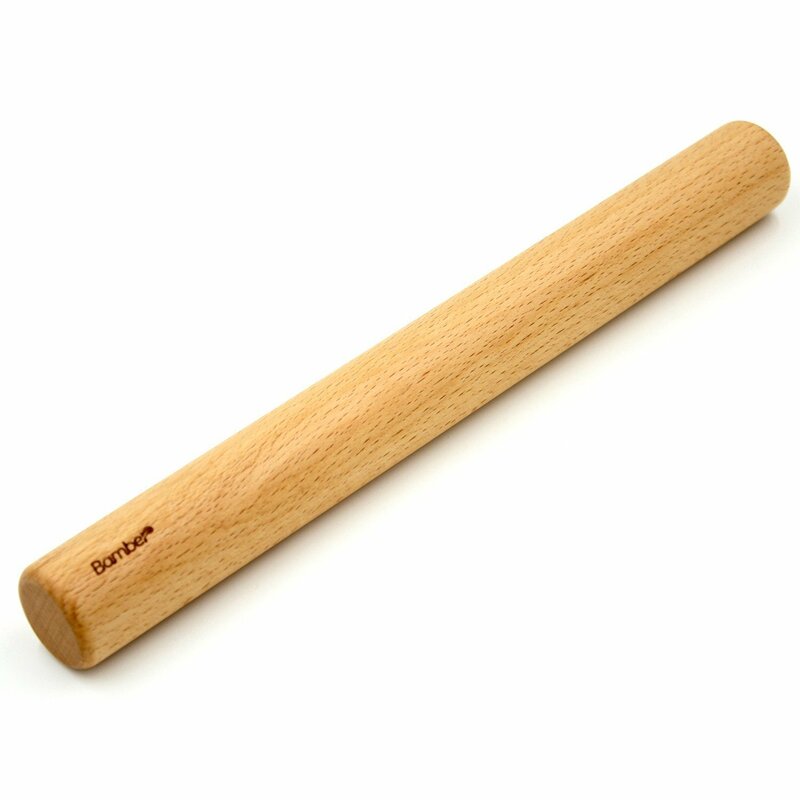 TOTALLY SAFE IN USE: our rolling pins are all made by selected premium beech wood from Europe that will NOT harbor bacteria or fungus. They are totally safe in use. Bamber has developed a complete line of woodenware products consisting of kitchenware, tableware, pantry ware, storage items as well as home organization items. These collections are continually refined and expanded. We commit to discovering a wide variety of practical, yet beautiful kitchen amenities and designing them to help you organize the practical side of your kitchen and pantry. From spatulas and rolling pins to serving trays and drawer organizers, simply select your favorite collection and add a decorative touch to every aspect of your kitchen and home! OFFER UNIQUE ROLLING EXPERIENCE: our rolling pins will give you special rolling experience in the kitchen with their design and quality. We believe you will fall in love with rolling and cooking with our rolling pins. Worry-free lifetime warranty and friendly customer service! Full refund or free replacement if not satisfied!